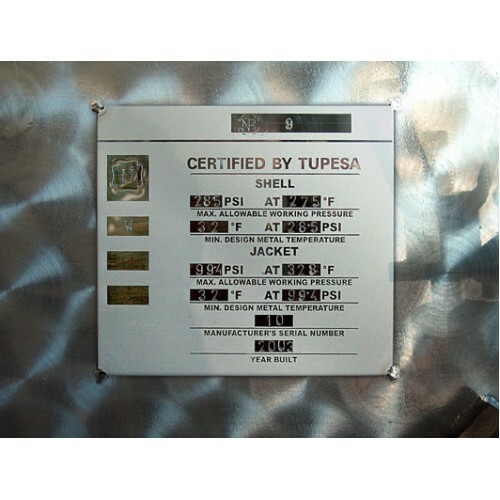 TUPESA is synonymous with reliability, specialist in the manufacture of rotary machines for dyeing all types of garments. 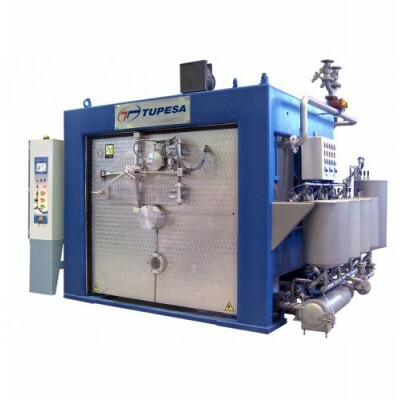 We present our complete range of TSP dyeing machines, double axis machines and "floating system" dampers, economical and capable of adapting to any market demand in terms of performance, efficiency or capacity and that offer the solution at all times. 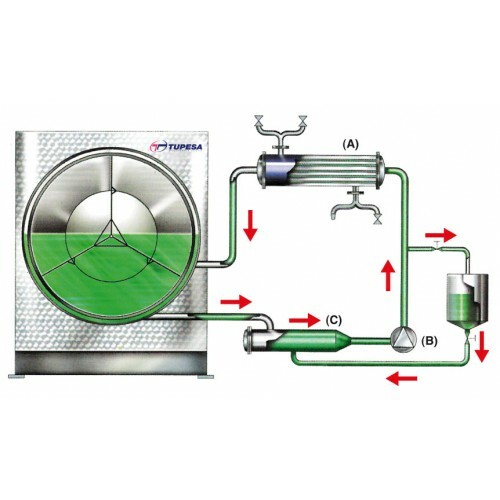 High spin spinners reduce residual moisture to the maximum after the dyeing process, allowing significant savings in the next phase through the dryers. Its advanced design and technology, as well as a wide variety of options and accessories, make a significant impact on energy efficiency and saving water and chemicals, reducing production costs and increasing business performance. 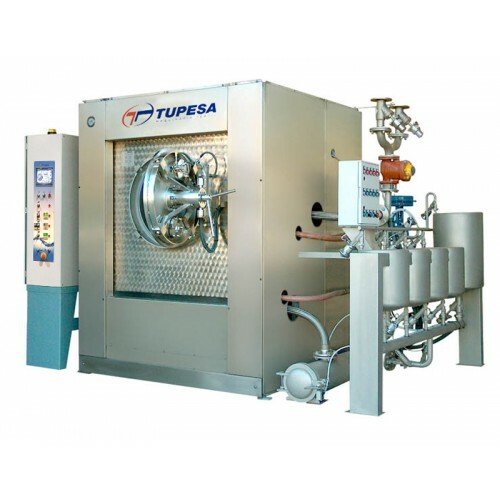 Machinery that allows the dyeing of any type of garment that does not require temperatures above 100ºC (212ºF degrees Fahrenheit). 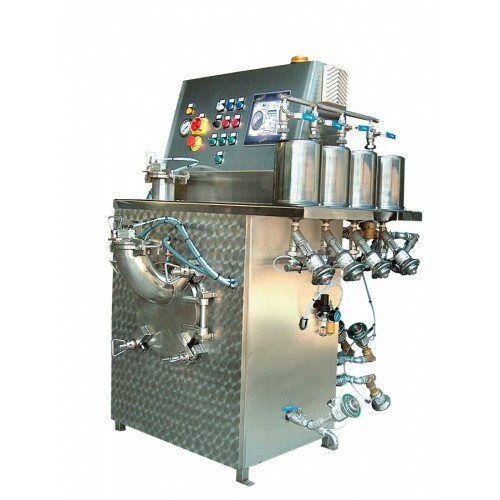 This type of machinery is suitable for cotton garments or natural blends. 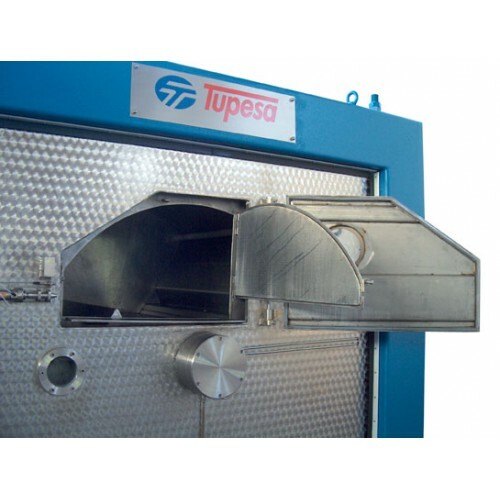 This type of machinery is specially designed to work with temperatures up to 140ºC (284ºF degrees Fahrenheit). 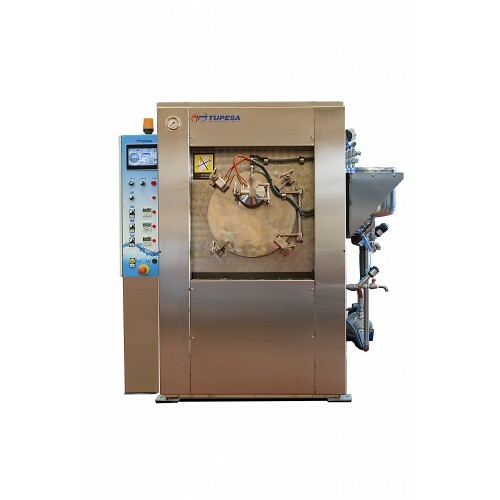 This type of machinery is suitable for dyeing all types of garments such as polyester, polyamides, synthetic blends, etc. 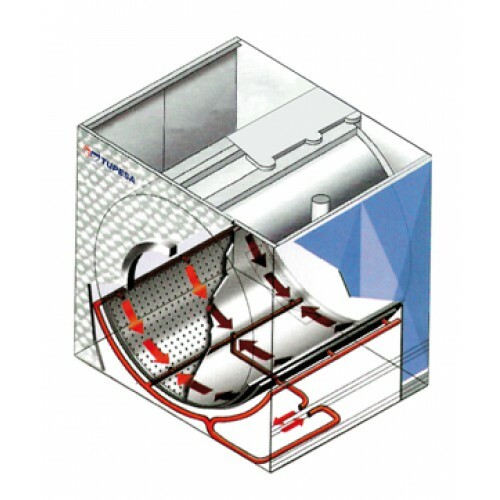 Ecosteam system: Indirect steam chamber for heating and cooling the bath. Acquasoft System: Heat exchanger, circulation pump, filter and modulating valves to heat and cool the bath, 4x 45 Lts / 7 gal. tanks and one solid chemical inlet. Hight temperature construction P Model (140ºC / 284ºF). Add as many tanks of the required size you need. 60 / 2,36" 80 / 3,15" 100 / 3,94" 100 / 3,94"
1.440 / 56,7" 1.500 / 59,1" 1.700 / 67" 1.850 / 72,8" 1.850 / 72,8"
970 / 38,2" 1.120 / 44,1" 1.260 / 49,6" 1.310 / 51,6" 1.460 /57,5"
2" 2" 2 " 2" 2"
1 1/4" 1 1/4" 1 1/4" 1 1/4" 1 1/2"
150 / 6" 150 / 6" 150 / 6" 150 / 6" 150 / 6"